The area’s top spot for bird watching is not in the mountains and forests of western Tokyo but rather within the roar of Haneda Airport jets. 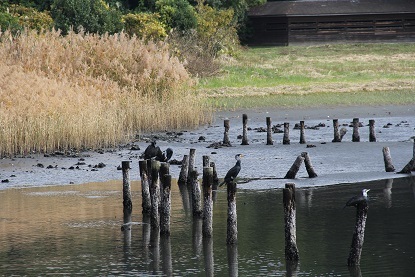 The Tokyo Port Wild Bird Park lies on 24.3 hectares of reclaimed land, with various habitats created to draw as many different birds as possible. How many? Residents and seasonal visitors add up to approximately 150 varieties, including ducks, owls, herons, hawks, gulls, cormorants, and many more. The park has telescope-equipped blinds positioned deep in each habitat to allow close inspection of bird life. The centrally located three-floor Nature Center also provides an excellent vantage point to view birds in the reeds and ponds of the park.